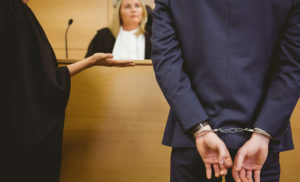 If you have been charged with a criminal offense, you are likely wondering if you should accept the legal services of a public defender or else pay for a criminal defense lawyer in Morgantown, WV. Many of our clients at Adams Legal Group, PLLC were in this very scenario. For one or more reasons they chose to work with our firm to protect their rights and defend them. If you would like to know more about how we may be able to help you as well, contact our office today to request a free consultation with a criminal defense lawyer from our firm. By law, not everyone can retain the free services of a public defender. Only those who cannot afford to hire a Morgantown, WV criminal defense lawyer are eligible for getting a public defender. The financial criteria used to determine this varies by jurisdiction and state. The public defender’s office can clarify this for you, or you can call us at Adams Legal Group, PLLC to find out more from one of our attorneys. If you are convicted of the crime for which you are charged, depending on the circumstances of the crime and the results of that crime, you could be forced to spend many years in prison. You may also have to pay significant fines. When you are finally released from prison, you face an uncertain future. Employment may be difficult and finding a good paying job almost impossible. A prison record can make it difficult to enter into new relationships. While you were in prison, your marriage may have failed. Your children may feel estranged from you or even embarrassed that their parent was in prison. If you are facing the possibility of a criminal conviction you owe it to your future to give yourself the best chance of a dismissal of the charge or of a lesser sentencing through a plea deal. At Adams Legal Group, PLLC we are aggressive in our defense of our clients, as we recognize the severe repercussions they face if they are found guilty by a jury or judge. A public defender may be free, but most often their time and other resources to focus on their clients is very limited. You may be lucky to meet them before your first arraignment and they will probably not even know your name, much less the details of your case. At Adams Legal Group, PLLC, we intentionally limit our caseload in order to provide premium legal services to our clients. We will give your case the focus and resources it deserves. Give your case every chance for a positive outcome by working with a respected and successful defense attorney. At Adams Legal Group, PLLC, we offer a free consultation during which you can discuss your circumstances and learn how we may be able to help you. Call us today to schedule a meeting with a criminal defense lawyer Morgantown, WV relies on who can meet with you in private at an incarceration facility or in our offices.